A hot bowl of creamy soup on a cold winter day is the epitome of comfort food. But usually, creamy soup means tons of calories. That’s not the case with these recipes! 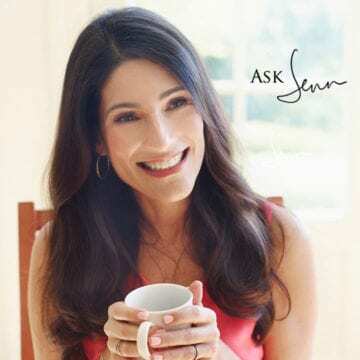 The soothing soups on this list are all low cal, so help yourself to seconds. This Thai-style butternut squash soup made with coconut milk is soothing and flavorful, and the heat from the ginger and spices will warm you right up. This has got to be the easiest butternut squash soup recipe ever, yet it’s still everything you expect it to be: silky, slightly sweet, and full of flavor. Cauliflower, apples, and curry might seem like an unusual combination but the flavors meld into a creamy and seductive soup. This silky purée of vegetables, corn tortillas, chicken broth, and spices is hearty enough to serve as a meal. Top it with fresh corn, tortilla chips, avocado, roast chicken, or whatever your heart desires. This is the ultimate tomato soup, and it’s incredibly easy to make. The only chopping involves some onions, garlic and basil; the rest comes out of cartons and jars. When we think of pumpkin, we usually think of sweets but pumpkin’s earthy flavor is wonderful in savory dishes too. In this velvety soup, pumpkin is simmered with leeks, apples, maple syrup, and spices. Made with carrots, sweet potatoes, apples and honey, this savory soup with a hint of sweetness and spice is a real family-pleaser. The secret ingredient is curry powder, which lends a subtle hint of warm spice. 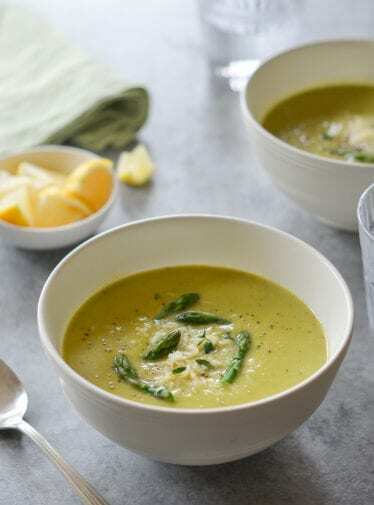 Surprisingly, this creamy asparagus soup is made without heavy cream — just vegetables, broth, and a Parmesan cheese puréed to silky perfection.